In a rather surprising, but almost expected announcement (especially if you look at the Nintendo DS releases of Jump Stars), Bandai Namco Entertainment have revealed that the Yu-Gi-Oh! 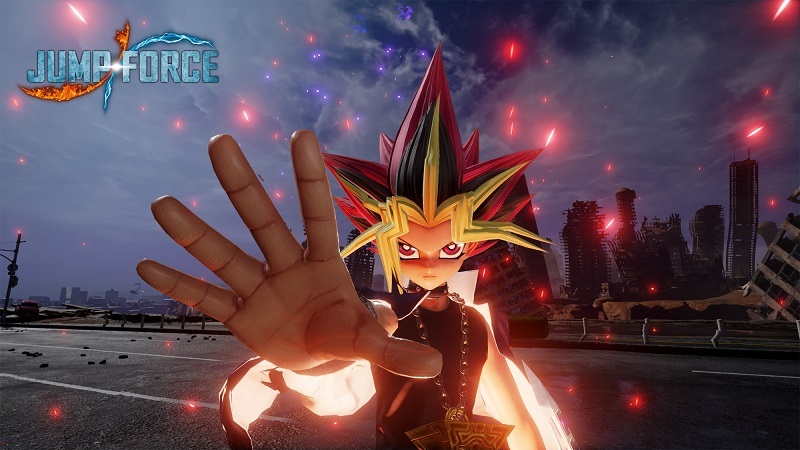 franchise will be the next universe to join JUMP FORCE; with Yugi Moto (or Yami Yugi/Dark Yugi/Pharaoh Atem if you prefer) being made as a playable character. For those unfamiliar Yu-Gi-Oh! is a manga series that revolves around the trading card game ‘Duel Monsters’ in which players battle among each other using monster cards, trap cards and magic cards. In the manga franchise (and in turn the adapted anime series) Yugi Moto is the main protagonist who upon solving the millennium puzzle unlocks Yami Yugi (Pharaoh Atem) spirit and the two work together to defeat all sorts of threats that relate to both the past and present in the form of Shadow Games; a type of duel monsters that Pharoh Atem used to play during Ancient Egyptian times. Regardless of Yugi’s backstory he will be a playable character within JUMP FORCE; an upcoming arena styled brawler that features characters from popular Shonen Jump franchises such as Dragon Ball Z, One Piece, Bleach, Hunter x Hunter, Death Note and Yu-Gi-Oh! JUMP FORCE is scheduled to be released onto the Xbox One, PlayStation 4 and Windows PC next year. It’s worth noting that Dragon Ball Z, One Piece, Bleach, and Yu-Gi-Oh! are available on DVD via Manga Entertainment UK.